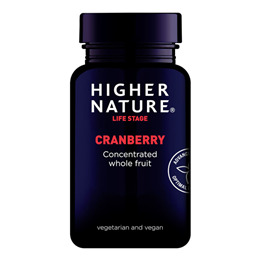 A daily capsule of this cranberry extract may help maintain a healthy urinary system. Super Strength Cranberry capsules are made with whole cranberry concentrate and generally only one a day is needed. Cranberries contain proanthocyanidins that can help support urinary health and digestive health also. Cranberries and cranberry products also contain significant amounts of antioxidants and other phytonutrients that may helps support the body against ageing and in maintaining a healthy heart and circulation. Antioxidants are compounds that are naturally manufactured by the body and/or are ingested, primarily as components of fruits and vegetables, which have the ability to stabilize free radicals, and at the same time, do not become free radicals themselves. Cranberries can serve as a good source of supplemental antioxidants. Cranberries have been shown to contain more antioxidants than 19 commonly eaten fruits. CONTAINS NO added sugar, salt, starch, wheat, gluten, maize/corn, yeast, lactose, dairy products, artificial preservatives, colours or flavourings. Cran-Max™ (concentrated whole cranberry and standardised extract, natural cranberry fibre enteric coating). Encapsulated with natural ingredients; hypromellose. Adults: Take 1 - 2 capsules a day, between meals. Children over 8 years: Take 1 capsule a day, between meals. Not advisable if taking warfarin. Below are reviews of Cranberry Extract - 90 x 500mg Vegicaps by bodykind customers. If you have tried this product we'd love to hear what you think so please leave a review. 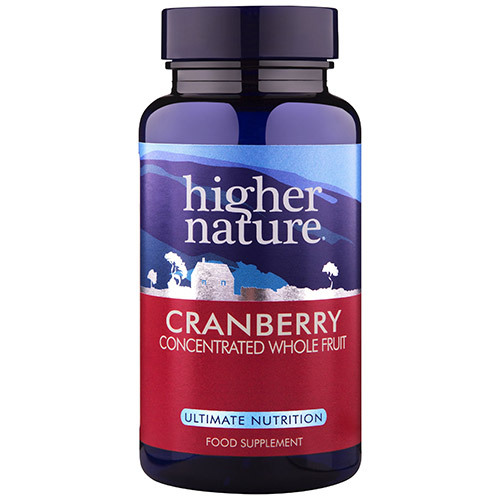 A daily capsule of this cranberry extract may help maintain a healthy urinary system. Super Strength Cranberry capsules are made with whole cranberry concentrate.